Office hours, Winter 2019, Mondays 1:00-2:00 pm, Tuesdays 10:30-11:30 am or by appointment. Research Interests: Monetary policy, central banking: My research deals primarily with central banking and issues associated with the theory of monetary policy. Recent work has focused on the sustainability of forward guidance, worker heterogeneity and the effects of monetary policy. My vita contains a complete list of my publications. The fourth edition of Monetary Theory and Policy, MIT Press 2017. Among the major changes in the 4th edition are the addition of a new chapter on the effective lower bound on nominal interest rates and balance sheet policies, discussion of search and matching models of unemployment in Chapter 8 on the new Keynesian model, and an extensive revision of Chapter 9 on the open economy. Recent working papers and publications: To view downloadable pdf versions, click on the titles. The Challenges with Rules-Based Policy Implementation, prepared for the 2017 Annual Conference of the Federal Reserve Bank of Boston, Are Rules Made to be Broken? Discretion and Monetary Policy, October 13-14, 2017. Absrtract: I discuss challenges in implementing a rule-based monetary policy (RBP) regime. Many of the arguments for and against RBP are similar to ones prominent 20 years ago in debates over inflation targeting. I draw a distinction, common in the literature on inflation targeting, between a strict and a flexible RBP regime, highlighting the trade-offs involved in moving towards a stricter regime. Under flexible regimes, deviations from the reference rule are allowed, and I derive the rule for deviating from the rule. Stochastic, transitory fluctuations in non-rulable variables, such as the long-run equilibrium real interest rate, are shown to increase the volatility of expected future inflation around target under a level rule, while permanent shifts threaten credibility as either policymakers must act consistent with the rule or with achieving the inflation target. The best simple rule depends on policymakers' preferences, which may make it difficult for a policy committee to agree if the central bank is charged with picking the rule. Turning to practical issues, I discuss how a desire to promote transparency and accountability can help one in choosing between alternative rules. Comments on Gerdrup, Hansen, Krogh and Maih, Leaning Against the Wind When Credit Bites Back, IJCB Conference, November 2016, forthcoming in the IJCB. Preliminary, new version April 2018: Simple sustainable forward guidance at the ELB. Abstract: Forward guidance plays an important role in models of monetary policy at the effective lower bound (ELB) for nominal interest rates. Yet in common frameworks used to study equilibrium at the ELB, forward guidance is not credible. In this paper, I ask whether policy makers lacking the ability to commit may, nevertheless, still make credible announcements about future policy. They can if there is a positive probability of hitting the ELB in the future. Nakata (2014) has shown that with even a small probability of future ELB episodes, the optimal Ramsey policy can be sustained. However, such policies are potentially difficult to communicate to the public. I examine the sustainability of simple promises, such as a promise to keep the nominal interest rate at zero for a fixed number of periods after the ELB episode ends. I show that such promises are sustainable, as long as the promise is not for too many periods. If the expected duration of ELB episodes is short and the expected duration away from the ELB is long, the length of forward guidance that minimizes the present value of losses at the ELB may not be sustainable. Preliminary: How credible are inflation announcements at the ELB? Abstract: Cochrane (2015) has emphazied the multiplicity of equilibrium at the effective lower bound (ELB) on nominal interest rates, with the economy's behavior at the ELB dependent on the inflation rate the central bank promises to delivery when the ELB is exited. If the probability of reverting to the ELB in the future is zero, any such promise is not sustainable as, absent the ability to commit, optimal discretion dominates delivering on the promise once the ELB episode has ended. However, if the economy may return to the ELB in the future, I show that that are welfare improving inflation promises that are sustainable even in the absence of a commitment technology. Newly revised: Workers, Capitalists, Wage Flexibility and Welfare, this draft, July 2017. First draft (titled Workers, Capitalists, Wages and Employment) presented at the Richmond Fed-IfW Conference on The Labor Market after the Great Recession, Richmond, VA, Oct. 2-3, 2014. Appendix. Slow recoveries, worker heterogeneity, and the zero lower bound, with Federico Ravenna, March 2014, version presented at the 8th Conference of the International Research Forum on Monetary Policy, Federal Reserve Board, March 21-22, 2014. Screening and Labor Market Flows in a Model with Heterogeneous Workers, with Federico Ravenna, Journal of Money, Credit, and Banking, Dec. 2012, 44(s2):31-71. Monetary Policy and Labor Market Frictions: a Tax Interpretation, with Federico Ravenna, Journal of Monetary Economics), March 2012, 59(2): 180-195. Appendix (Previously titled The Welfare Consequences of Monetary Policy and the Role of the Labor Market: a Tax Interpretation). Now available at Science Direct. Welfare-based optimal monetary policy with unemployment and sticky prices: A linear-quadratic framework with Federico Ravenna. AEJ Macroeconomics, April 2011, 3(2):130-162. Appendix. Labor Market Search, Sticky Prices, and Interest Rate Policies, Review of Economic Dynamics 8(2005), 829-849. Labor Market Search and Monetary Shocks, Aug. 2002. in Elements of Dynamic Macroeconomic Analysis, S. Altug, J. Chadha, and C. Nolan, editors, Cambridge University Press, 2003, 451-486. JEL: E52, E58 Appendix to Labor Market Search and Monetary Shocks. Multiple objectives and central bank trade-offs under flexible inflation targeting, Keynote address, 16th Annual Inflation Targeting Seminar, Banco Central do Brazil, May 15-16, 2014. CESifo Working Paper 5097, November 2014. Monetary policy transmission channels and policy instruments, prepared for "Monetary Policy and the Public," a Federal Reserve Bank of Cleveland Conference, May 29-30, 2014. Monetary policy and resource mobility, Paper presented at the 200th Anniversery Conference of the Bank of Finland, Helinki, May 5-6, 2011. Appendix and Presentation slides. The future of inflation targeting, Keynote address, Australia Conference of Economists, Sydney, Sept. 27, 2010, shortened version published in The Economic Record, Sept. 2011, 87: 23-36. Central Bank Independence Revisited, Economic Papers, 30(1), March 2011, 18-22. Panel discussion on Post-Crisis Monetary Policy Strategies, 8th Journees of the Foundation of the Banque de France, Paris, June 21, 2010. Implementing Monetary Policy, prepared for the Bank of Korea International Conference, May 31-June 1, 2010. forthcoming, Seoul Journal of Economics24((4), Winter 2011. Commentary: using models for monetary policy analysis,", IJCB Fall 2009 Monetary Policy Conference, Banque de France, Paris, Sept. 24-25, 2009, IJCB March 2010, 6(1). Using monetary policy to stabilize economic activity. in Federal Reserve Bank of Kansas City Financial Stability and Macroeconomic Policy 2009 Jackson Hole Symposium, 2010: 245-296. Inflation targeting: What have we learned? The John Kuszczak Memorial Lecture, prepared for "International Experience with the Conduct of Monetary Policy under Inflation Targeting," Bank of Canada, July 22-23, 2008. (Final version, revised January 2009. Published version: Inflation targeting: what have we learned" International Finance, 12:2, 2009, 195-233. Announcements and the Role of Policy Guidance, prepared for The 32nd Annual Economic Policy Conference, Federal Reserve Bank of St. Louis, Review, July/August 2008, 421-442. Optimal economic transparency, The International Journal of Central Banking, 3(1), March 2007, 5-36. (published version). Transparency, flexibility, and inflation targeting, Prepared for the Ninth Annual Conference of the Central Bank of Chile, F. Mishkin and K. Schmidt-Hebbel (eds), "Monetary Policy under Inflation Targeting," Santiago, Chile, 2007, 227-263. Communications and the Objectives of Monetary Policy. Talk delivered at the Second Summit Meeting of Central Banks on Inflation Targeting, hosted by the Banco Central de Chile, Santiago, Chile, Nov. 14, 2007. Monetary Policy and Key Unobservables in the G-3 and Selected Inflation-Targeting Countries, with Klaus Schmidt-Hebbel. Prepared for the Eleventh Annual Conference of the Banco Central de Chile, Nov. 15-16, 2007. Inflation Targeting and the Role of Real Objectives. Sept. 2007. This is the current version of a talk I have given at the Central Bank of Uruguay, conferences at Glasgow University and Cambridge University, and the Czech Economic Society and CERGE-EI. Parameter misspecification and robust monetary policy rules. ECB Working Paper No. 477, April 2005. The contribution of theory to practice in monetary policy: recent developments, Monetary Policy: A Journey from Theory to Practice: An ECB Colloquium held in honour of Prof. Otmar Issing, Frankfurt, 16-17 March 2006, 143-160. Optimal Monetary Policy with the Cost Channel, (with Federico Ravenna), Journal of Monetary Economics, 53 (2006), 199-216. (earlier versions titled The Cost Channel in a New Keynesian Model: Evidence and Implications), Technical Appendix. Central bank independence, New Palgrave Dictionary, December 2005. Comment's on Levin, Onatski, Williams, and Williams, NBER Macroeconomic Annual 2005, M. Gertler and K. Rogoff (eds. ), The MIT Press, 2XX-308. Economic Structure and Monetary Policy Design, in Macroeconomic Implications of Postcrisis Structural Change, Lee-Jay Cho, Dongchul Cho, and Yoon Hyung Kim (eds. ), Korean Development Institute, May 2005, 189-225. Remarks prepared for the Seminar on Selected Experiences in Implementing the Code of Good Practices on Transparency in Monetary and Financial Policies, Monetary and Financial Systems Department, International Monetary Fund, Washington, D.C., Feb. 7, 2005. Comments on "Conducting Monetary Policy at Very Low Short-Term Interest Rates," by Ben S. Bernanke and Vincent R. Reinhart, AEA Session, January 3, 2004. Modern Central Banking: An Academic's Perspective, prepared for the 10th Anniversary of the introduction of the dram, Central Bank of Armenia, Nov. 23, 2003. Endogenous Objectives and the evaluation of targeting rules for monetary policy, formerly titled Parameter misspecification with optimal targeting rules and endogenous objectives. Prepared for the Nov 19-20, 2004 Carnegie-Rochester Conference, Journal of Monetary Economics, 52 (2005), 889-911. Robustly Optimal Instrument Rules and Robust Control: An Equivalence Result, Journal of Money, Credit, and Banking 36(6), Dec. 2004, 1105-1113. Some extensions and generalizations are discussed in The equivalence of robustly optimal targeting rules and robust control targeting rules: an extension (May 2004). Interest and Prices: A Review Essay, a review of Mike Woodford's Interest and Prices: Foundations of a Theory of Monetary Policy, Macroeconomic Dynamics 9(2005), 462-468. 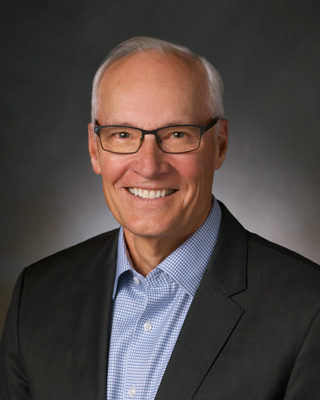 Implications of a changing economic structure for the strategy of monetary policy, in Monetary Policy and Uncertainty: Adapting to a Changing Economy, Jackson Hole Symposium, Federal Reserve Bank of Kansas City, 2003, 297-348. Comment on: The zero-interest-rate bound and the role of the exchange rate for monetary policy in Japan by G. Coenen and V. Wieland, Carnegie-Rochester Conference Series, Journal of Monetary Economics, 50 (5), July 2003, 1103-1108. (also available online) . Teaching Inflation Targeting: An Analysis for Intermediate Macro. Journal of Economic Education 33 (4), Fall 2002, 333-347. When Should Central Bankers Be Fired? Economics of Governance 3 (1), 2002, 1-21. Market Discipline and Monetary Policy, Oxford Economic Papers, 52 (2000), 249-271. Reply to de Carvelho and Bugarin, Oxford Economic Papers 57 (2005), 740-741. Monetary Policy Trade-offs in the Open Economy, Nov. 1999. Announcements, Inflation Targeting and Central Bank Incentives, Economica, 66 (1999), 255-269. Central Bank Independence, Economic Behavior and Optimal Term Lengths (with Christopher J. Waller), American Economic Review, 86 (5), Dec. 1996, 1139-1153. Is New Zealand's Reserve Bank Act of 1989 an Optimal Central Bank Contract?, Journal of Money, Credit and Banking, 27 (4), Nov. 1995, Part 1, 1179-1191. Optimal Contracts for Central Bankers, American Economic Review, 85 (1), March 1995, 150-167. Monetary Theory and Policy, 4th. ed., The MIT Press, 2017. 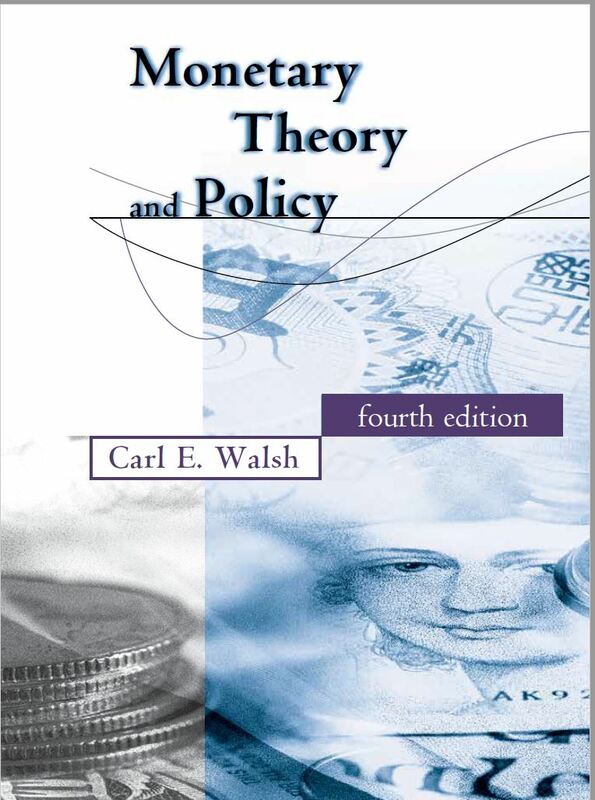 The fourth edition of this graduate level text on monetary theory and policy is available from MIT Press. Check out the MIT Press site to request an examination copy. Economics, with Joe Stiglitz, W. W. Norton, 2006, 4th ed. (Also available in separate micro and macro splits.) A modern treatment of economics for the introductory student. Exposes students to the basic competitive model, but deals also with the important role of imperfect information and imperfect competition. The macro approach replaces static aggregate demand and supply models of the price level, to which a Phillips curve is then appended, with an integrated framework for understanding inflation and output determination.